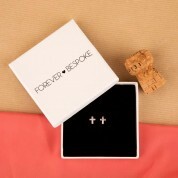 These cross stud earrings would make a lovely addition to a special friend's jewellery box. A unique gift for a girl's 1st holy communion, birthday or another special occasion. 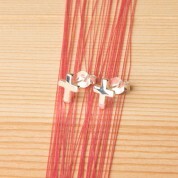 They are made from sterling silver and are perfect for wearing everyday. 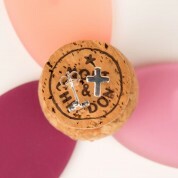 Dimensions: approx 10mm x 6mm.